I wasn’t at all familiar with the Renaissance composer Palestrina before our conductor introduced us to him, but he is now my new favorite composer. We’re just doing one Palestrina piece, but as always, I love it. 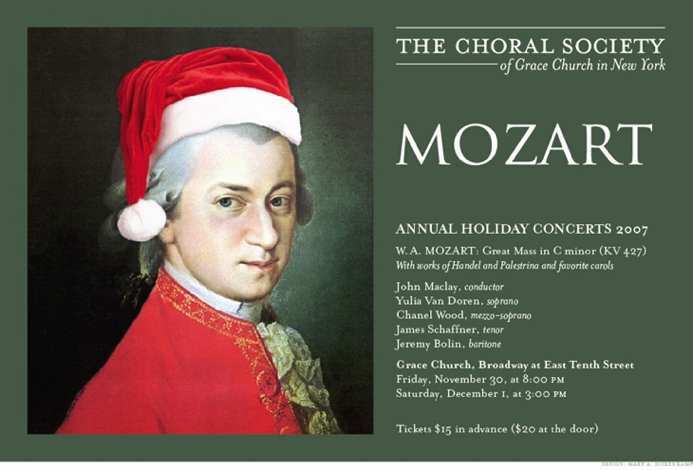 The Mozart mass is gorgeous, of course. Plus we’re doing two pieces from Handel’s Messiah and a couple of traditional carols. It should be a lovely holiday musical experience, if you enjoy that kind of thing, holiday music experiences. We’re also very good-looking.